Take your chance and join our team! *I understand that if I do not agree through ticking, this form will not collect and will not transmit my data to MEDUSA and I will not be able to receive an answer to my request. We do hereby inform you that MEDUSA HOTEL INTERNATIONAL processes, as controller, the personal data that you provide by means of the CV with a view to complying with the personnel recruiting procedure. The data controller is MEDUSA HOTEL INTERNATIONAL S.R.L., with the registered office in Bucharest, str. Jandarmeriei, nr. 14A, sector 1, registered with the Companies under the no. J40/211297/1994, Tax Identification Code RO 6505878, Telephone: 0744332155, Website: http://www.scc.digitalyield.ro , E-mail: office@scc.digitalyield.ro ; The Data Protection Officer (DPO) may be contacted on phone at: 0751.175.796 and/or email: dpo@scc.digitalyield.ro . For such processing, we rely on your consent, as you sent us your CV or you posted it on a recruiting platform, on the necessity to process data for the purposes of signing an employment agreement or, where applicable and as mentioned herein, the legitimate interest. We do hereby inform you that the data you provided us will be treated as confidential and will not be disclosed or transferred to third parties without your prior agreement or otherwise than pursuant to law, for example, for instance, to the competent authorities. Therewith we do hereby inform you that only the competent persons within MEDUSA HOTEL INTERNATIONAL will have access to your personal data, with a view to achieving the purposes for which such data were collected. We do hereby mention that your data will not be the subject to an automated decision-making, including profiling. Moreover, we do hereby mention that throughout the recruiting, we shall act for our legitimate interest to verify the applicants and where applicable, we shall search information relevant for your professional activity and correlatively, which are available to the public (search engines, LinkedIn type professional connection networks, social networks – exclusively public profile). If the recruiting process results in the signing of an individual employment agreement between you and MEDUSA HOTEL INTERNATIONALA, your personal data will be included in the personnel file which is preserved for the period required by the effective legislation (for the moment, 75 years). We do hereby inform you that you may exercise at any time the right of access to data (the right to know whether we process the data and under which conditions), the rights to rectification or to erasure, to restriction of processing or object to processing, the right to your personal data portability (insofar as the data were processed by automated means and the portability is possible), as well as the right to object to processing based on automated decision making, including profiling. Moreover, you have the right to withdraw your consent given for the processing of data, but it may result in hindering the completion of the recruiting process. For further details related to these rights, you may read our General Policy On The Protection Of Personal Data. Furthermore, as to the processing of your personal data, you have the right to lodge a complaint with MEDUSA HOTEL INTERNATIONAL and/or the National Authority for the Surveillance of the Personal Data Processing (head office: București, Bdul Gen. Gheorghe Magheru nr. 28-30, sector 1, CP 010336; Telephone: +40.318.05.92.11, Fax: +40.318.05.96.02 email: anspdcp@dataprotection.ro, website: www.dataprotection.ro). 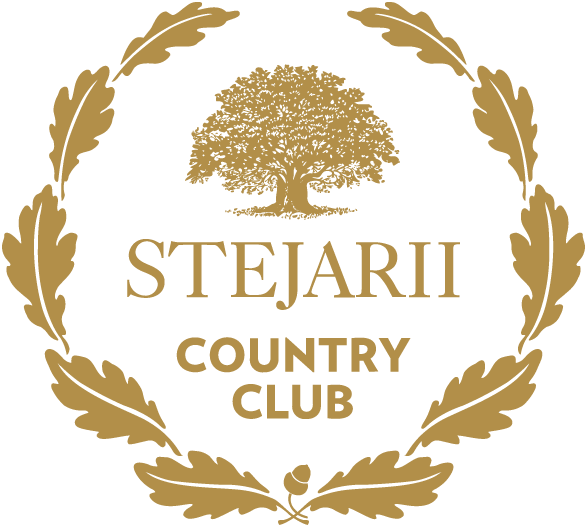 Use the virtual tour below to discover the pleasant atmosphere of Stejarii Country Club! We do hereby inform you that MEDUSA processes, as controller, the personal data that you provide by means of the CV with a view to complying with the personnel recruiting procedure. Therewith we do hereby inform you that only the competent persons within MEDUSA will have access to your personal data, with a view to achieving the purposes for which such data were collected. If the recruiting process results in the signing of an individual employment agreement between you and MEDUSA, your personal data will be included in the personnel file which is preserved for the period required by the effective legislation (for the moment, 75 years). Furthermore, as to the processing of your personal data, you have the right to lodge a complaint with MEDUSA and/or the National Authority for the Surveillance of the Personal Data Processing (head office: București, Bdul Gen. Gheorghe Magheru nr. 28-30, sector 1, CP 010336; Telephone: +40.318.05.92.11, Fax: +40.318.05.96.02 email: anspdcp@dataprotection.ro, website: www.dataprotection.ro).